What is a 360 lace frontal exactly? Ladies want to wear your hair in a high ponytail without having to cover your edges or without feeling self-conscious? You can now do this with 360 lace frontal with bundles. This will give you a naturally beautiful flawless hairline that actually looks like your hair. 360 Lace Frontal is the new trend and popular in hair extensions and weaves market.Are you interested in 360 lace frontal sew in? What do you know about this type hair product?Here we will answer some questions you may have about 360 lace frontal cap. 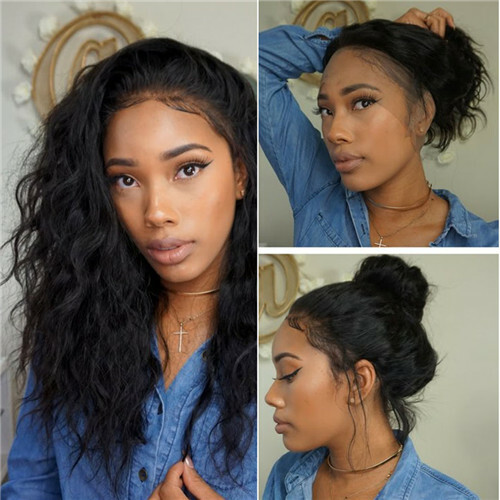 Essentially, 360 lace frontal closure, also called 360 wigs for short, it is essentially a lace headband that has adjustable hooks in the back so that it can get nice and snug without needing to use glue or tape or even sewing it on as many of us do. So 360 refers to it being 360 degrees so that it allows you to give your hairline a break when you are wearing hair extensions. It is made of all quality Swiss lace material and all hand-tied human hair. The photo below is how it looks like. The 360 frontal lace has the extra lace come out of your head 360 degree so that your hair weft could be sewed on. 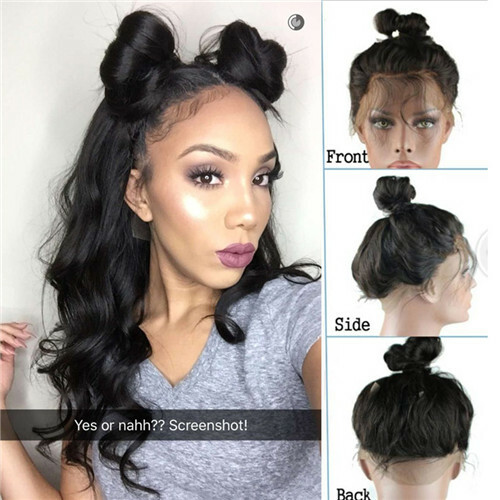 Besides, the 360 lace band frontal comes out with the natural hairline and baby hair, which gives the illusion that hair is growing from the scalp and looks more realistic. The standard medium size of the 360 lace frontal is 22"x4"x2". 22"is the circumference from ear to ear. 4"is the width at the front. 2"is the width of the back and sides. And the middle blank part is where to sew onto your wave. Q1: Does the hair come pre-plugged. A: Yes, it comes pre-plugged. Q2: Is the hair full? Q3: Is the hair virgin unprocessed? Q4: Will the hair shedding or tangle? A: The hair is double weft weaving with no shedding.And as virgin cuticle aligned witn no tangle.It could last over a year if taken good care. What is the advantage of 360 lace frontal weave? Natural Look,360 lace closures can give you a realistic hairline and you can put it in a ponytail, anything is perfect, undetectable as you want! Freestyling, you can style the way you want. You can have the freedom to style all around, choose to wear it in a ponytail, this will give you a baby face look and natural feel. Save time, with 360 lace frontal wig, it is easy to install, only takes less than one hour, so you do not need to stay in a salon too long. The weaving also takes less time because there is no weft sewing need, fewer wefts and bundles are required. 360 lace frontal is becoming more and more popular. Are you going to buy it? Just have a try, amazing and pleasure always be with you!